Every year, a tradition Patrick's family has is dying eggs for Easter. This year is no exception and I know we're excited to get together tomorrow and show off our creative side. If you're into colorful eggs as well, how about skipping the chemical dyes and create DIY dyes that are kid-friendly and eco-friendly?! 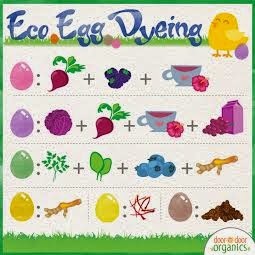 Learn how easy it is to make your own colorful eco-eggs with the info below, compliments of Door to Door Organics! : #easteregg #crafts #easter #doortodoororganics #joydelivered.